Latest scientific discoveries across many fields of research are demonstrating that our Universe exists and evolves as a coherent entity with information its most fundamental substance; more primary than energy, matter, space and time. Showing that physical reality is innately in-formed and holographically manifested – literally a cosmic hologram, they are revealing that matter is mind and consciousness isn’t something we have – it’s what we and the whole world are. These revelations which integrate with universal spiritual experiences and ‘supernormal’ psychic phenomena have the potential to transform out understanding of reality at all scales of existence and vitally at the level of our everyday lives. In doing so, their wholeworld-view has the capacity to heal our duality-based and materialistic perspectives. Its perception of the essentially unified and multi-dimensional nature of reality, instead, offers us an authentic new vision with the opportunity to transform our current global ’emergency’ into the emergence of our conscious evolution. Dr Jude Currivan is a cosmologist, planetary healer, futurist and author. 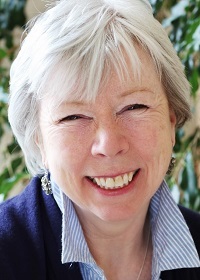 She was previously one of the most senior business women in the UK with a Master’s degree in Physics from Oxford University specialising in quantum physics and cosmology, and a Doctorate in Archaeology from the University of Reading researching ancient cosmologies. She has travelled to nearly 80 countries, worked with wisdom keepers from many traditions, and been a life-long researcher into the scientific and experiential understanding of the nature of reality. The author of six books, her latest being “The Cosmic Hologram: In-formation at the Center of Creation”, she is a member of the Evolutionary Leaders circle.